"Olgas" can be fittingly translated as "many heads". Leave early to enjoy the sunrise. You will walk to the Walpa Gorge and learn about the sacred rock formation from your guide. 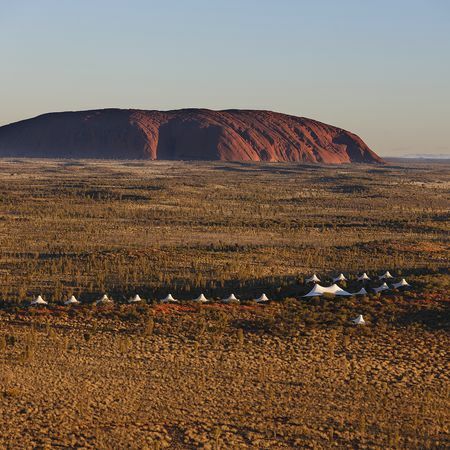 Look forward to an unforgettable experience in the middle of the outback. 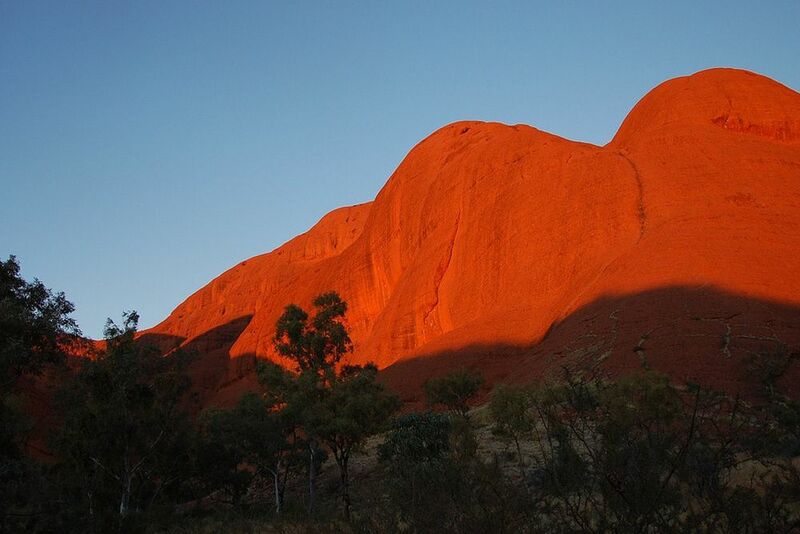 Experience an impressive play of colors at sunrise over the Olgas and learn more about the rock formations. 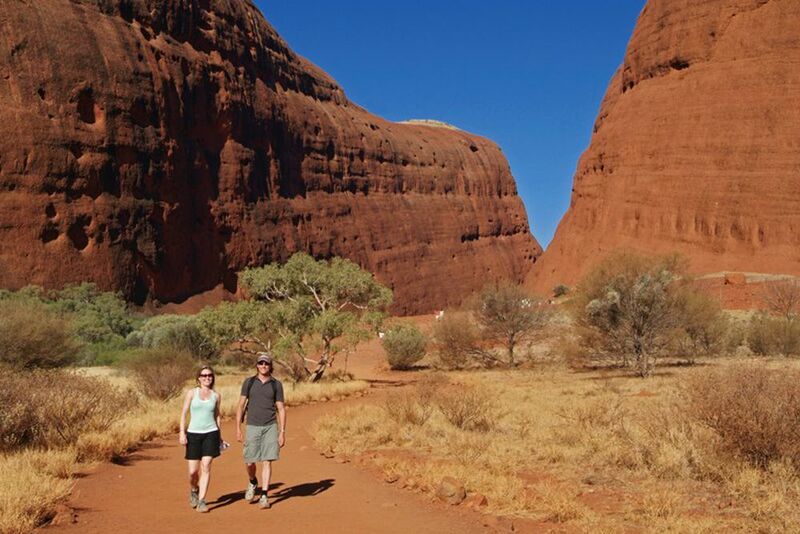 Have breakfast in the outback of Australia and let the natural environment reel you in. 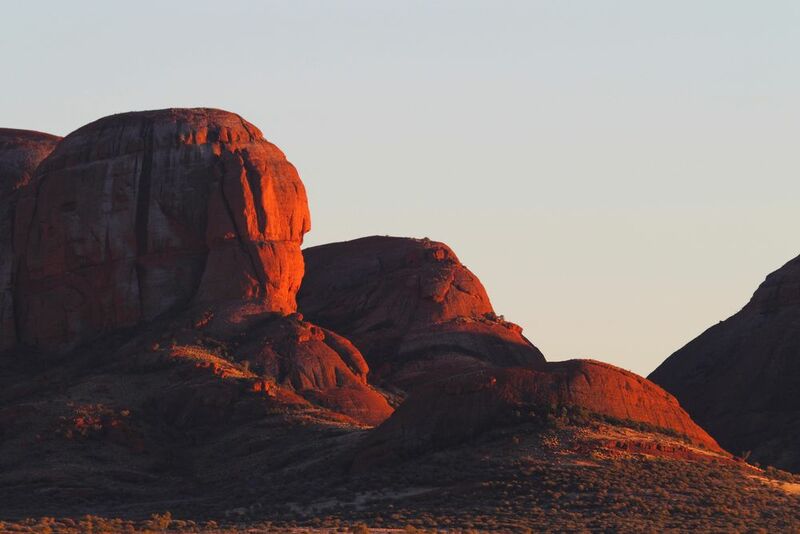 In the early morning, you will be picked up at your hotel and taken to the Kata Tjuta, also known as the Olgas. After a short walk, you will reach the best starting point, where you will have a breathtaking view of the 36 mountains in this rock formation, which wake up at sunrise in changing colors. 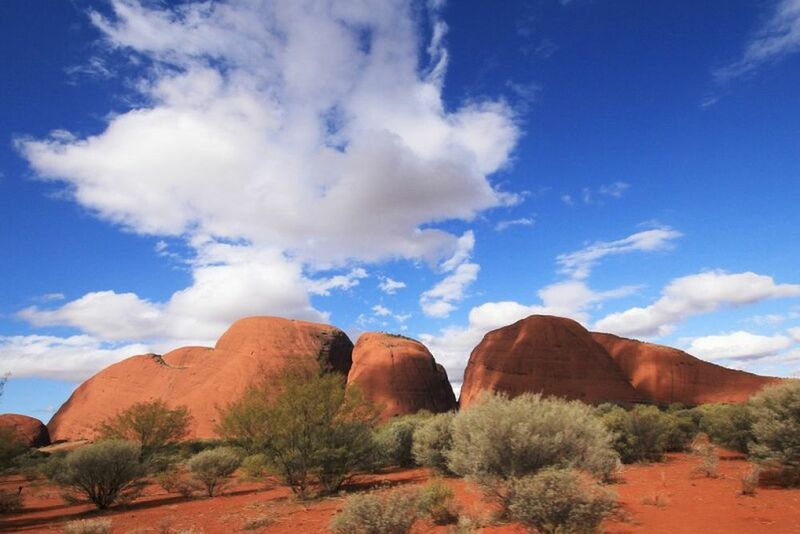 After the red desert slowly comes to life, head to the west side of the Kata Tjutas, where you can enjoy your delicious picnic in the middle of the outback. After refreshments, you will reach the narrowing Walpa Gorge. There, your guide will explain the sacred importance of the rock formation for the Aborigines and its geological history. At the end of the tour, your guide will take you back to your hotel. Departure from the Ayers Rock Resort: daily, between 4:45 am and 6:15 am (depending on the season). The exact time will be announced when booking. Child seats are available for a fee. IPods are available in the following languages: German, Italian, French. A deposit is required but will be refunded at the end of the tour.